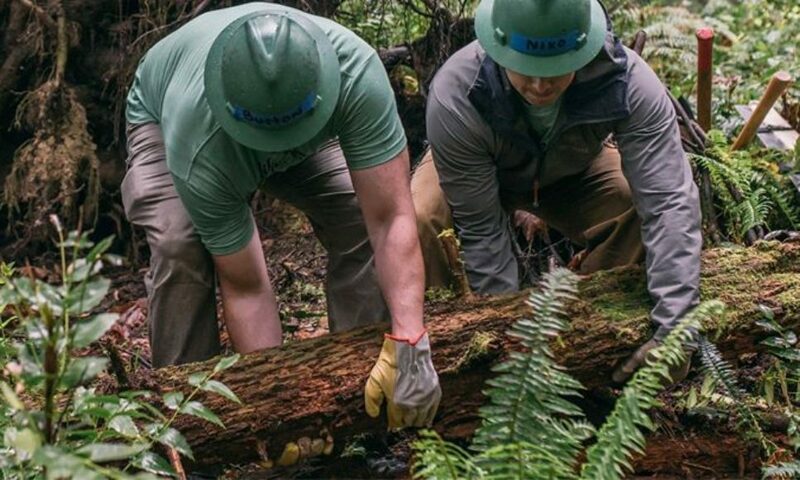 Forests provide a multitude of services including air and water purification, wildlife habitat, economic profits and recreational opportunities. Proper maintenance of these forests is essential to preserving and enhancing these forest ecosystems, and ensuring the many benefits being provided by healthy forests will continue well into the future. Forestry, or timber harvesting, when done responsibly is a highly effective way to maintain forest health and provide significant economic benefits. Pennsylvania is the nation’s largest producer of hardwood lumber and the annual economic contribution of forest products exceeds $5 billion annually. Private landowners account for $350 million in timber sales yearly. With over 70% of all Pennsylvania forests being owned by private citizens, it is important that responsible timber harvesting and forest management practices are being implemented. Harvesting plans for your land can be tailored to fit your specific needs and desired outcomes, whether it be economic benefits, wildlife enhancement, or recreational purposes. It may be difficult at first sight of a recent timber harvest to see how forestry can possibly be beneficial. The idea of hundreds of acres cleared of much of its large woody vegetation certainly can seem like a negative and devastating event, but in as few as 3 to 5 years the evidence of any logging operations will virtually disappear. This clear cutting technique is often used by foresters to regenerate, or renew, forests. These large-scale disturbances mimic natural disturbances such as tornadoes or fires. The new openings in the canopy allow for the growth of shade-intolerant species such as black cherry and oak. Selective cutting is another technique used to remove single trees or small groups of trees. If done correctly, selective cutting will remove some larger, higher quality trees, with economic significance as well as smaller, lower quality ones. The increase in open space will allow additional room for growing of existing vegetation as well as the establishment of new seedlings. The goal of forest management practices is to establish a full age-range of trees which helps control species composition, age structure, and tree quality. If a timber harvest on your property is something that you may be interested in but you are unsure of where to start, there are many resources available to help get started. The Pennsylvania Department of Conservation and Natural Resources assigns service foresters to each county who are available to offer information and guide landowners and residents in the practice of sustainable forestry. A full list of PA county service foresters and additional information on services provided can be found on the PA DCNR website. A call to your county Conservation District is another important step that should be taken to ensure any federal, state, or local environmental permits are obtained prior to timber harvesting activities. The Pike County Conservation District website contains additional information regarding timber harvesting activities and permit requirements. The benefits of responsible timber harvesting and forest management are plentiful, and with approximately 59% of Pennsylvania being forested land it is imperative that these lands are managed properly. By implementing sustainable forestry practices we can ensure that all the services provided by Pennsylvania’s forests continue for future generations.